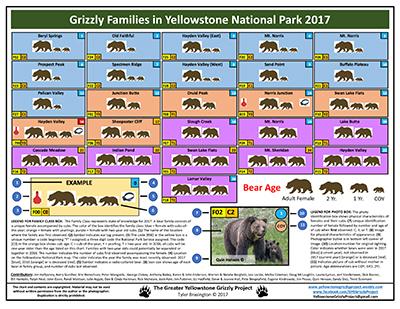 The chart shows each sow grizzly with her cubs indentifying the cub age (Cub-of-the-Year, yearling, 2-yr old). Pictures are shown for many of the key family groups. This chart is a must for all bear watchers.